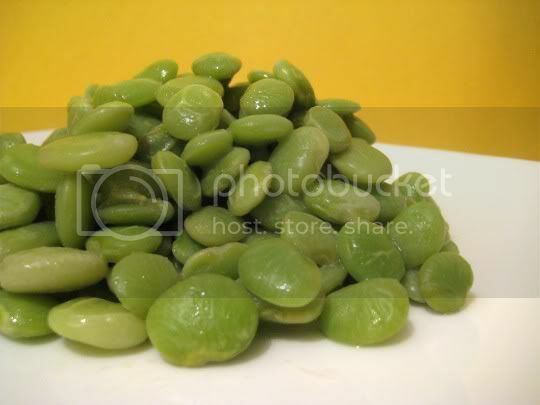 A unique side dish, these lima beans are tangy, buttery, savory, and sweet...and very lemony! The only problem is, I think the flavoring would have gone a lot better with a different veggie, such as green beans or broccoli. There's even a little dry mustard in the sauce, which provides additional tanginess to the already lemony flavor and a slight bite. Lima beans are a bit dry (or was it just mine? ), so maybe the lemon sauce could be doubled to make these more saucy. But the flavor and texture of the lima beans, which are already very buttery, do go well with the butter in the sauce, making these surprisingly rich. Perhaps best of all, this is quick and easy, requiring only a little boiling time and tossing in sauce. So if you're a fan of limas, try this dish for something different. Make again? Eh, maybe...with a different veggie.